A journey on the legendary Trans-Siberian Railroad is one of the greatest travel adventures of our age. Embark on this once-in-a-lifetime journey aboard the Tsar's Gold private train. 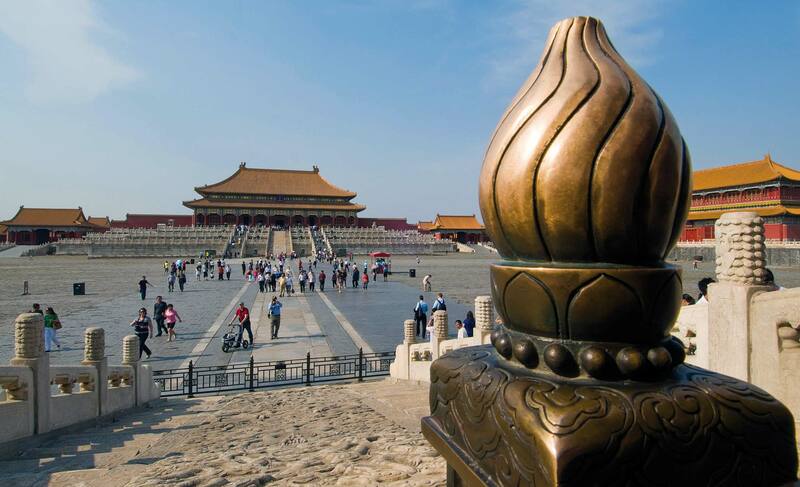 Experience Russia, Mongolia and China in the safest, most comfortable and most fascinating way. All you have to do is relax and enjoy the journey, we'll take care of the rest! 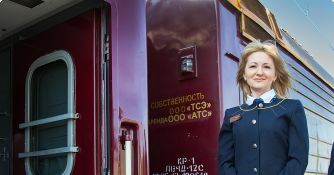 The Tsar’s Gold private train is the safest and most comfortable way to travel the world’s most famous train route—the 100-year-old Trans-Siberian Railroad. 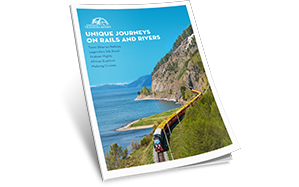 Benefit from our 30 plus years of experience organizing journeys for more than 30,000 guests on the Trans-Siberian Railroad. 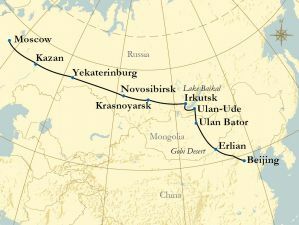 Every Tsar's Gold journey provides the opportunity to travel between Moscow and Beijing via Siberia, Lake Baikal and Mongolia—with a choice between six compartment categories! Our threefold tour guide system guarantees a comfortable, unforgettable travel experience. Local tour guides, a multilingual tour director, and a dedicated guest relations manager as well as an on board doctor make sure that everything goes off without a hitch! 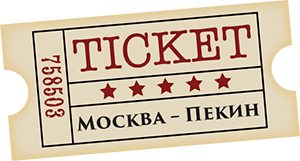 We offer the widest selection of tours on Trans-Siberian Railroad. 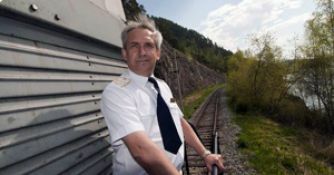 Take advantage of our 30 plus years of experience organizing travel on this legendary railroad, and design a journey with a comprehensive program through Russia, China and Mongolia based on your personal interests. The Tsar’s Gold private train is the safest and most comfortable way to travel on this fascinating railroad built more than 100 years ago. 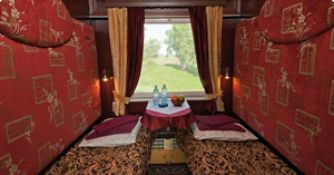 Benefit from our 30 plus years of experience on the Trans-Siberian Railroad, having organized more than 600 tours to date. The Tsar's Gold features its own world-renowned restaurant, offering up local specialties prepared by world-class chefs. After every delicious meal, the dining car is the ideal place to enjoy a drink at the bar while marveling at the vast landscapes of the Trans-Siberian and socializing with your fellow travelers.